Our little corner of Toronto is home to many ramen houses, most of which we’ve already tried. When news came out that a new ramen house was opening just across the street, I thought it would be a good idea to go check it out. 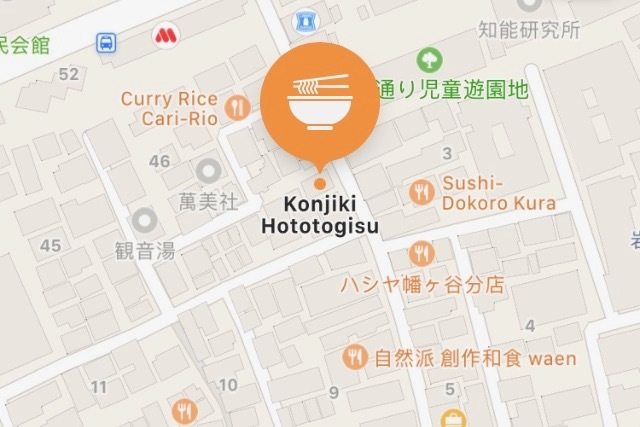 Konjikihototogisu 金色不如帰 is a tiny ramen house that sits eight people in the Shibuya district of Tokyo, Japan. 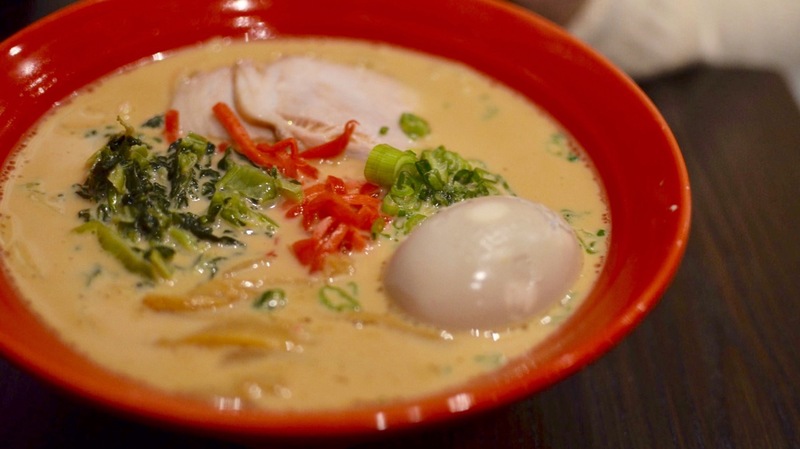 Atsushi Yamamoto’s ramen earned Konjikihototogisu rave reviews and awards from Walker Magazine and Tabelog. It also was given a Michelin Bib Gourmand for its ramens’ exceptional taste at an affordable price point for three years in a row. It’s that good. Konjikihototogisu 金色不如帰 has an unassuming little door which can be easily overlooked. What you won’t miss are the long lines outside. The Toronto location is Yamamoto’s first expansion outside of Japan. It’s a far cry from its Japanese branch, which seats eight. In Toronto, Konjiki has seating for forty people. Although it doesn’t have the expansive menu available at its Shinjuku branch, what’s available is nevertheless pretty awesome. 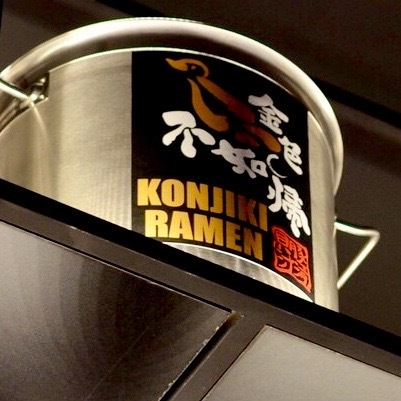 Konjiki Ramen is right in the middle of the Yonge corridor which is home to a lot of the city’s fun restaurants. Plenty of street parking all day. I went with my husband on a weekday, expecting a long line. We went for lunch, and thankfully, there wasn’t much of a wait. We were seated after 15 minutes, and had our ramen ten minutes after placing our order. I ordered the Original Shoyu Tonkotsu Ramen ($13.00 + tax). The bowl had a couple of slices of sous-vide pork with pickled ginger, takana pickles, bamboo shoot and spring onion. The tamago came extra ($1.50). My husband ordered the Intense Shoyu Signature Clam Broth Ramen ($14.00 + tax), which also has sous-vide pork, black truffle sauce, spring onion, bamboo shoot, porcini mushroom sauce and leeks. He didn’t want to be left out, so he got an egg too. He came away impressed, as did I. The noodles had just the right firmness and the broth was boldly flavourful. The tamago was a good call too, with the yolk spilling out in the broth as I gently cut into it always being my most favourite part of the meal. 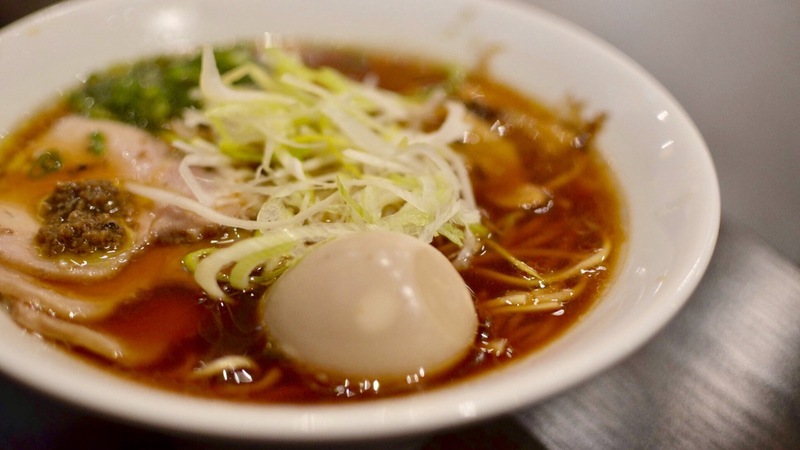 Ramen is plentiful in Toronto, and there are quite a few exceptional ones. Konjiki’s certainly has become one of my top choices. Chef Yamamoto brought his own pots, pans and ramen-making machines from Japan. Great job, Chef Yamamoto and team. We will be back for sure. Now, I’m going to have to pay Konjikihototogisu 金色不如帰 a visit next time I’m in Japan (you know, to compare). 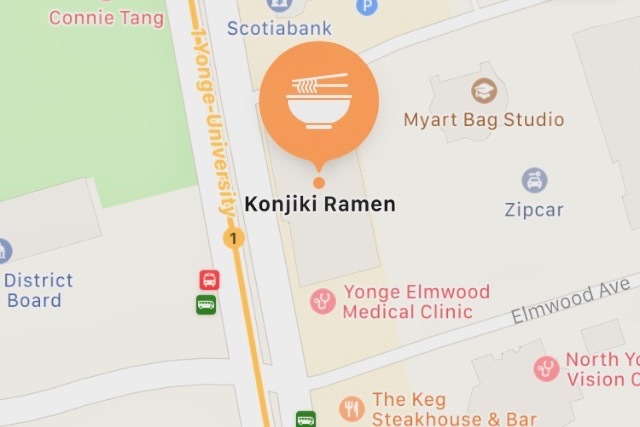 Konjiki Ramen is located at 5051 Yonge St. in North York. They open at 11:30am and close at 10:00pm. 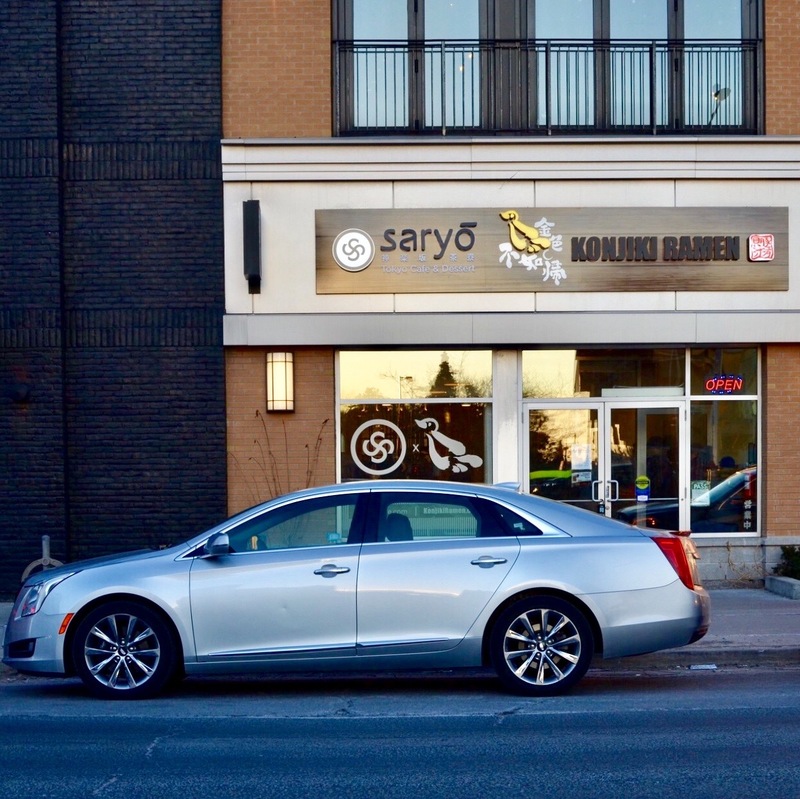 When you’re done with your bowl of ramen, grab a cone of soft-serve ice cream from Saryo next door.